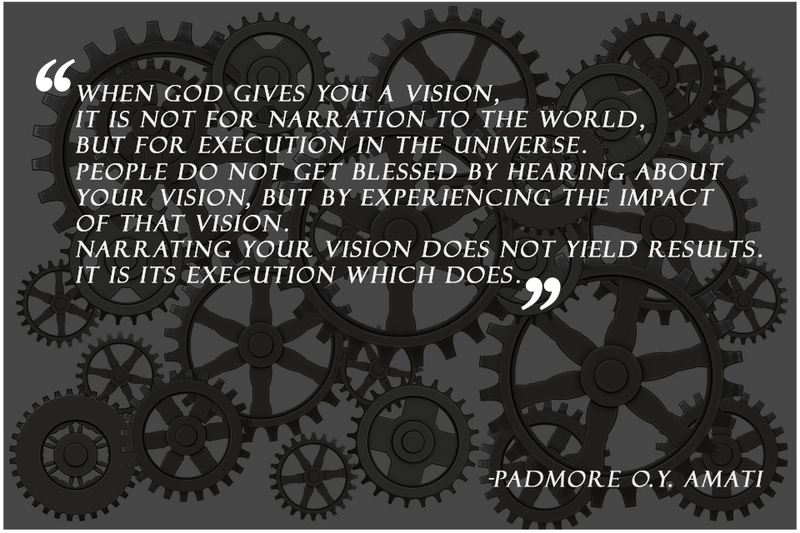 Get That God-given Vision Executed! So I had a follow up question concerning this maxim. So what if the resources for the vision aren’t ready? Between now and then, what do you do? The first step is to get yourself prepared. There are many ways to do so. One key way is by reading (getting a broad knowledge-base) and studying on the vision, training yourself in the area of the subject matter, etc. This in itself is a form of building resource – human resource . All these can be started with , alongside working towards the needed financial and other resources to move on.